Every department at UCCS has its own secrets well-hidden from the general student body. For the Department of Mechanical and Aerospace Engineering (MAE) it is the Prototyping Machine—Shop, which serves not only MAE students, but potentially any student looking to improve their knowledge of machinery or to work on their own project. According to Peter Gorder, Associate Professor and Chair of MAE, the shop mainly serves to support the department academically, including providing a place for students to gain experience with machines and providing maintenance for research faculty equipment. As for serving the engineering student body, the shop, for one, provides “maintenance and repair of instructional laboratory equipment,” said Gorder in an email. 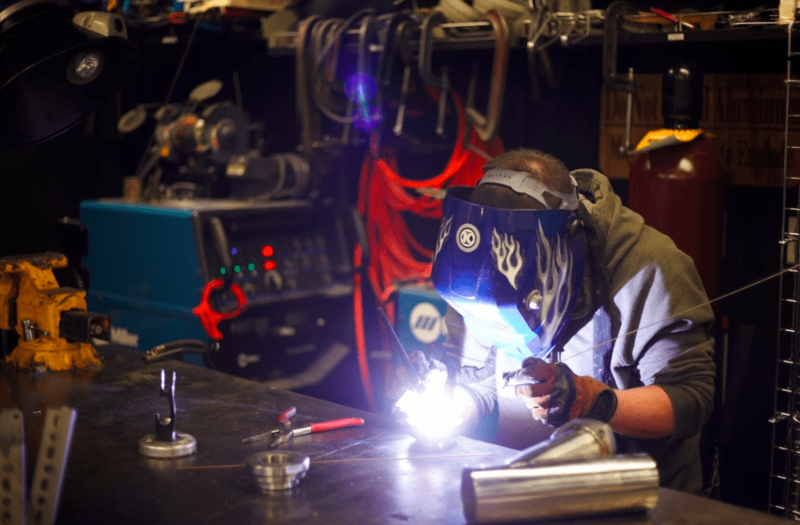 Some may not find this incredibly exciting, but the shop also provides students with even more hands-on learning than simply providing them with proper equipment. It’s here that students – mainly those enrolled in an MAE course – gain experiential learning through using machinery, which Gorder noted in an email as being a “key component” to the department’s curriculum. Tucker Walsh, a senior in mechanical engineering, agrees with Gorder, adding in an email, “The newer labs we teach and the projects we lead are fantastic real-world practice for our students.” Walsh further mentions the shop’s development in its prototyping capabilities and manufacturing techniques, such as computer-aided-design (CAD) and 3D printing, to name a couple. While the shop is technically open to any UCCS student, it’s mainly host to MAE students, whether as part of a class or lab or academic club. “Academics is our primary focus, so class projects will take priority, but personal projects that are safe and approved by shop staff are very much welcomed,” said Walsh in an email. Of course, if you have experience with machinery, the shop staff can test your abilities to determine if you can work on your own in the shop. If not, it’s not the end of the road. According to Walsh in an email, if you want to have access to the shop, “the best way is to take our introductory course, MAE 1005 Introduction to Machine Shop.” From then on, the shop is open for use. MAE 1005 is open to any student, not just mechanical engineering students, and isn’t required for the mechanical engineering undergraduate curriculum, according to Gorder. Keep in mind that the prototyping shop is funded through the department’s student fees, which is why it is mainly in operation by MAE enrolled students. For the Spring 2019 semester, the shop will mainly be supporting final senior projects. “We are also looking to improve our CNC education and bring those tools to be more available for student projects,” added Walsh in an email, CNC (Computer Numerical Control) being another hint at the shop’s development towards computer-driven manufacturing. UCCS offers countless opportunities for students to broaden their horizons, and the Prototyping Machine Shop is just another example of this. For those wishing they had more knowledge of machinery, MAE 1005 could be an excellent addition to a future class schedule. Besides, who wouldn’t want to have fun using a 3D printer?